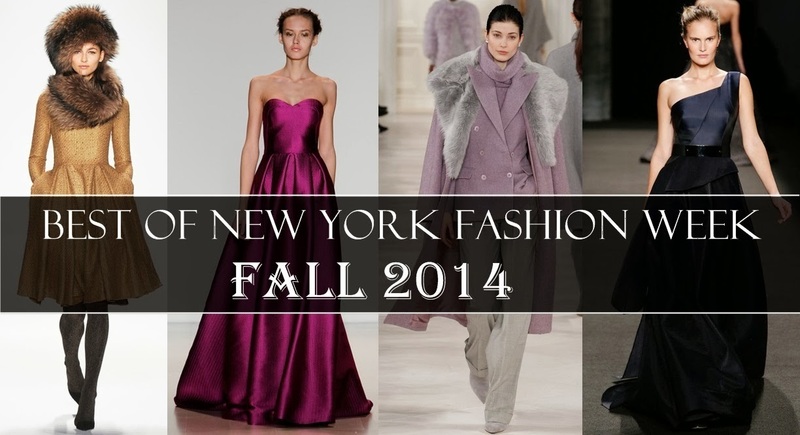 The whirlwind of New York Fashion Week may be over, but there is still plenty of fashion to be buzzing about! While I don't like to play favorites, there are a few designers that stood out above the rest. Some came as a surprise, while others hit it out of the park year after year. Which one of these collections is your fave? Inspired by turn-of-the century Vienna, Badgley Mischka blew me away with rich golds and feminine silhouettes. The fur touches are to die for! The Project Runway alum has made quite a name for himself in the fashion industry. His muse for this collection was Lisa Fonssagrives-Penn. Her regalness can be seen all over his collection down to the brim hats and couture-inspired gowns. 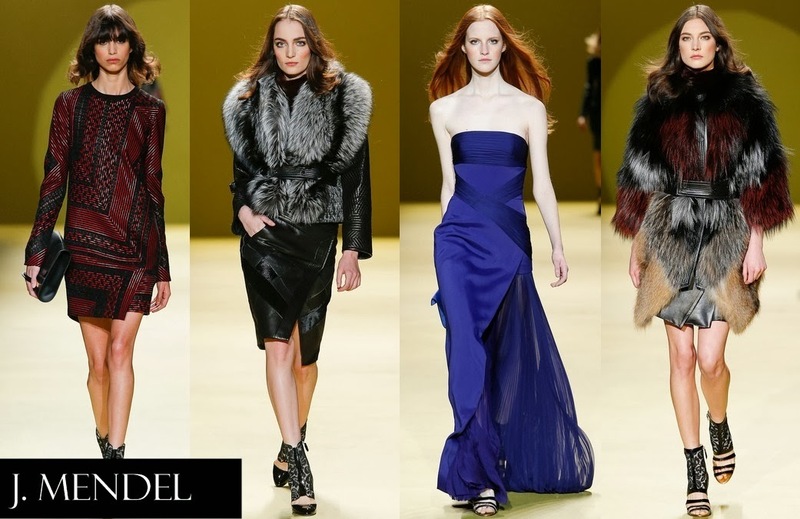 Gilles Mendel paid homage to his family's roots with the bold rich colors and luxurious furs. I especially liked the leather details in this collection. 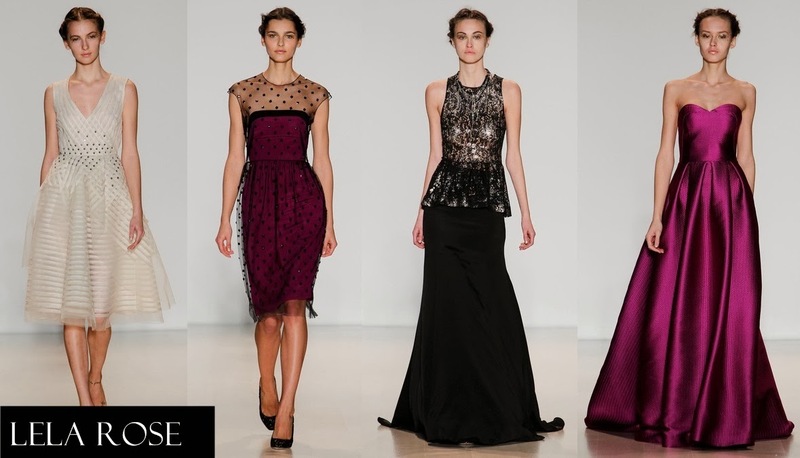 Lela Rose is known for pretty dresses and ladylike gowns, and this year is no different. Her collection is as glamorous as it is beautiful. 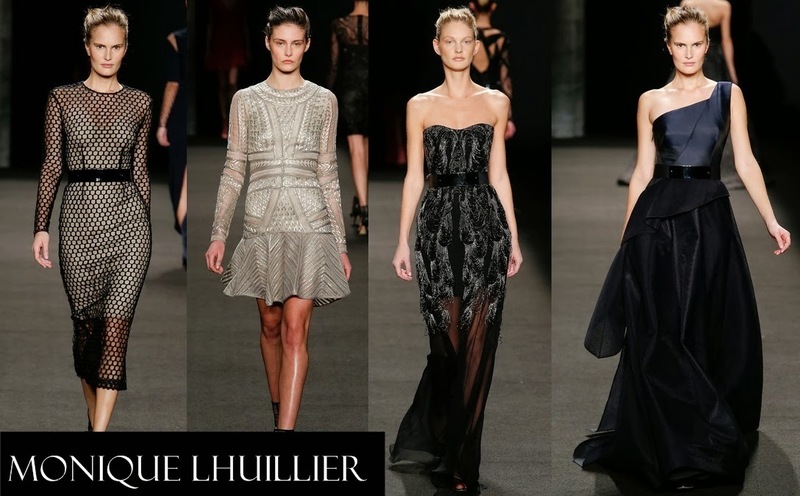 Monique Lhuillier decided to go a little darker this fall with the skull as her point of reference. While it may seem grim, her collection was anything but ghastly. This collection was polished, poised, and perfect. 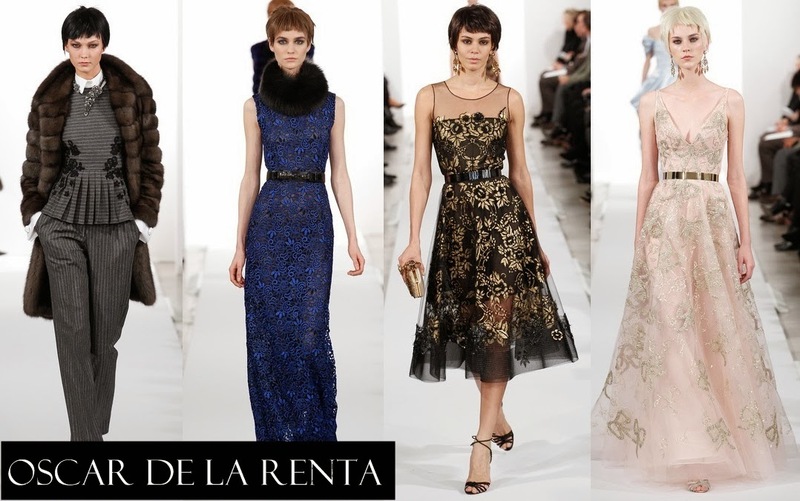 Simply divine from beginning to end - but what else would you expect from Oscar de la Renta? Drawing inspiration from New York architecture, Pamella Roland's collection was a knockout of sequins and opulence. 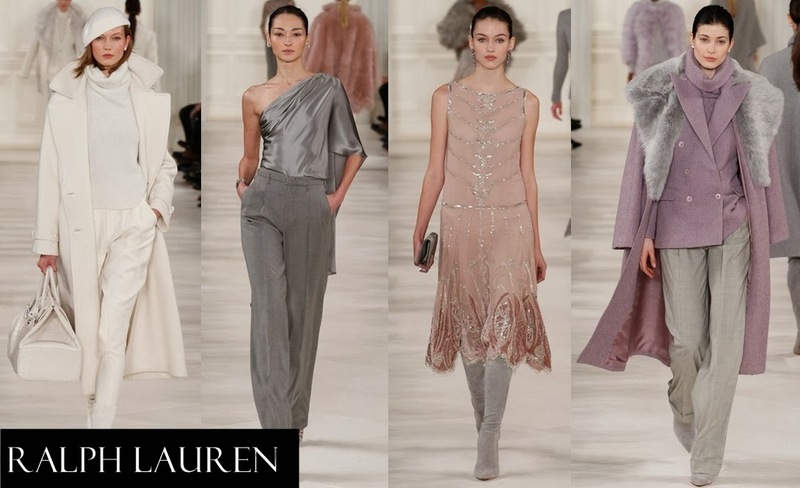 Luxurious glamour is what comes to mind with this Ralph Lauren collection. Soft hues and crisp menswear defined each look. Utter perfection in my book. What Reem Acra lacked in cohesion, it made up in drama. Each piece down the runway was a standout all on its own. 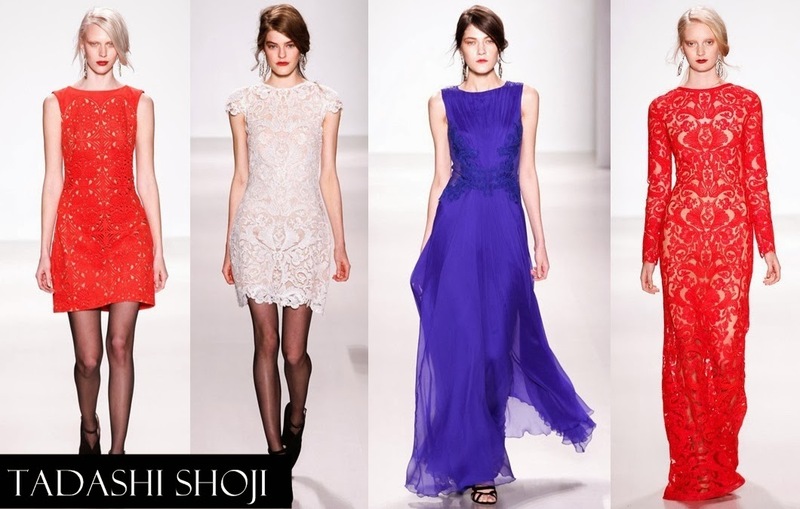 Tadashi Shoji's collection was inspired by Moorish architecture, and included laser-cut details and intricate stitching in bright colors and hues. Alice Temperley didn't hold back on texture, color, or embellishments in this collection. She even described her collection as "funky", but I'm really digging this kind of funk. Grunge princess can best describe Vera Wang's fall collection. Its a bit of a departure from her romantic side, but everyone likes a girl with a bit of an edge. I couldn't pick a favorite, there are too many great looks! But I do like Temperley London, Oscar de la Renta, and Badgley Mischka particularly! I like the hairstyling in the Oscar de la Renta show! Oh, and on second look, I like those clothes best too! I think I'm going to be pretty happy next fall with the trends. I believe those are wigs on Oscar de la Renta, but they do show off the clothes perfectly! Both of the collections are so glamourous and feminine. Thanks for stopping by! i LOVE tadashi and recommend it ALWAYS when clients need something formal! Lela Rose is looking pretty fabulous too! Tadashi is king. He knows how to make clothes for women - no matter their size! Thanks for encapsulating this for us. 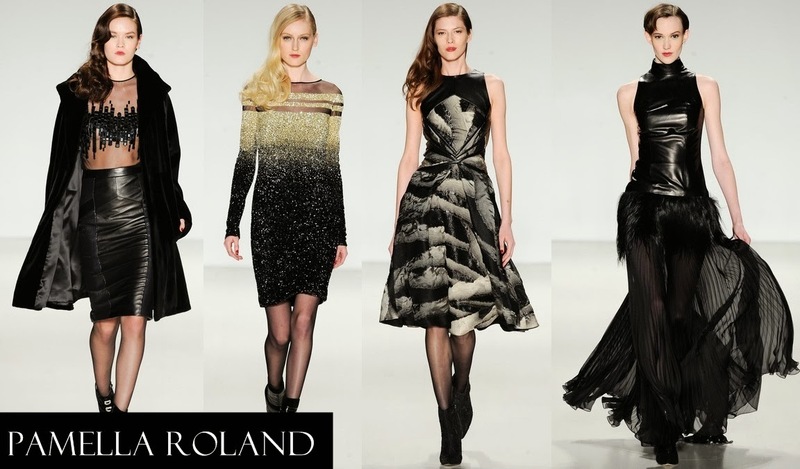 Christian Siriano is showing here in Nashville in April and I think I'll try to catch the show. OH! Sounds like fun! Definitely share pictures if you end up going. Thanks for stopping by Alicia!